This week on the RFC Mini-cast: John, Exvee, Rob, and Melllvarr talk Tokyo Toy Show and Transformers 5: The Last Knight toy reveals! This week on the RFC Mini-cast: While we were covering Toy Fair in the US, in Japan Takara was showing off new toys and teasing Masterpiece Dinobot! John, Don, Diecast, and Brian discuss: The Hasbro reveal of Titans Class Trypticon! The RFC Mini-cast – 061: Roses are Red, Violets are Blue, 3P Loves Springer, and they think you do too! John, Don, Mellvarr and Rob Clay discuss: Why does 3P love Springer and not Arcee? Plus we analyze IDW’s impact on Transformers and Revolution’s effectiveness. 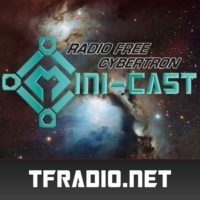 The RFC Mini-cast – 056: The Computron Mini-cast! This week on the RFC Mini-cast John, Don, Chris, and Melllvarr review Unite Warriors Computron! This week on the RFC Mini-cast John Diecast talk to Kiron Ramdewar about Transformers: Earth Wars!